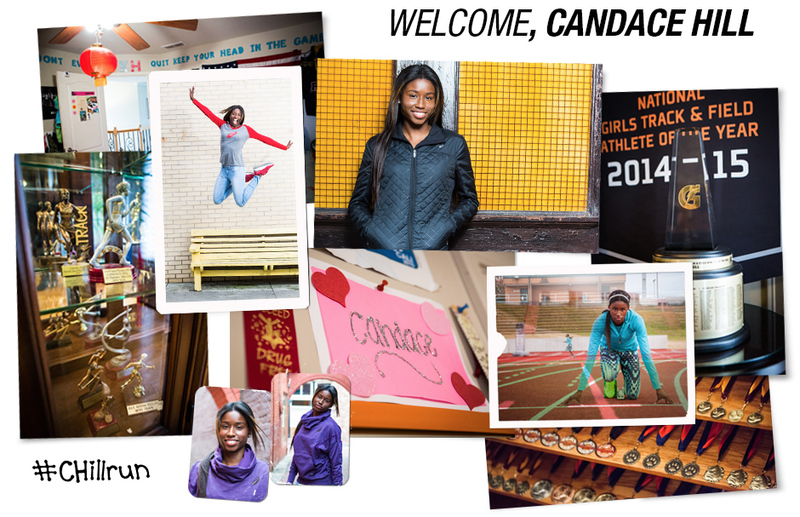 Super exciting news out of ASICS today - they have signed a real life super hero to their professional team - 16 year old sprinter Candace Hill. Candace is already known as “the fastest girl in Georgia,” her light-speed finish put her on the map by simultaneously setting an American junior record, a World Youth record, and a National high school record. Oh, and she is a straight A student with a 4.6 GPA. She is the epitome of a Sound Mind in a Sound Body and if I wasn't over twice her age, I would want to be her when I grow up. So many kids these days don't have their priorities straight and that makes me sad to see what our future holds. Not the case whatsoever with Candace. This girl is going places and I cannot wait to see how her follow her career. Get used to hearing the name Candace Hill as greatness lies within her. Candace only started running 4 years ago and has accomplished something most veteran sprinters only dream of: a finishing time of 10.98 seconds in the 100-Meter Dash. If she had competed in the 2008 Olympic Games, a 10.98 would have had her on the podium with a silver medal.